This entry was posted in Fly Tying, Saltwater Fly Fishing, The Hot Ticket and tagged 4 Tips For Stocking Bonefish Flies, bonefish flies, bonefish fly patterns, fly fishing blog, fly fishing bonefish, fly fishing flies, Gink & Gasoline, Gink and Gasoline, Kent Klewein, Louis Cahill, Saltwater Fly Fishing by Louis Cahill. Bookmark the permalink. I’d pay close attention to the additional suggestions, #1 statement. I’ve bone fished many area around the Caribbean where only a weedless fly would work, and I’ve run out of them. So, you are going to a place where there is little info on he “hot” fly or flies. I get you of different weights. 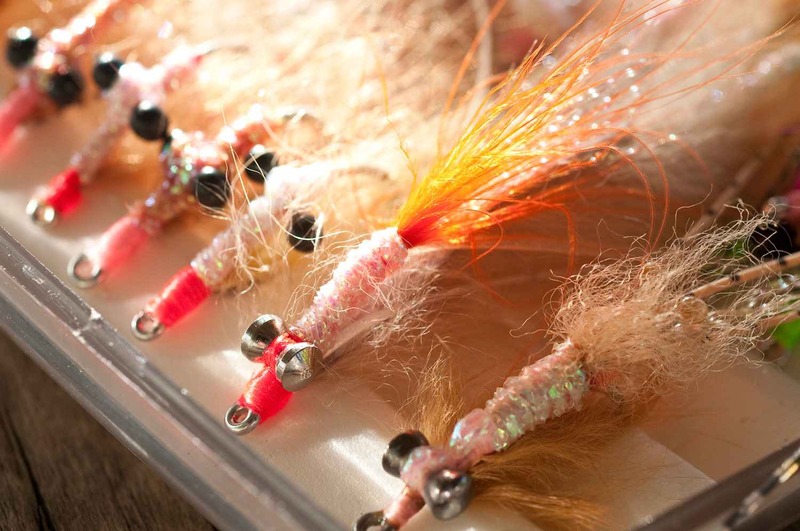 So, going to the Bahamas, what are six patterns you would tie in different weights? Those three tied in 3 color variations (a light,medium, dark) and half with legs, half w/o. Then add in your weights: some weightless, most bead chain and some lead weight eyes. That’s a lot of flies! And, what do you use for weed guards? Heavy monofilament (or fluorocarbon if you’re paranoid) in 30lb tied in a single spike, a v shape, or looped down the hook point and around the hook bend makes for a solid weed guard for a fly. Stiff mono works quite well for weed guards. I am sure a search on the net can put you into a video or two where weed guards are added to saltwater flies.